This week’s poster is from 1940 and shows the instantly recognisable Johnston typeface. This was designed by Edward Johnston and has been used all over the Underground since 1917. You’ll have seen it on lots of posters and signage. 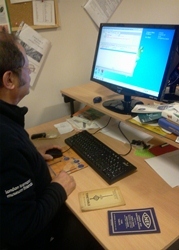 On posters it was usually added to the design at the printing stage. 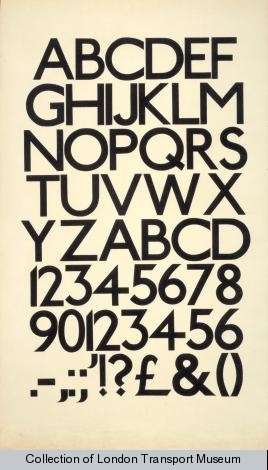 The typeface was redesigned in 1979 by Eiichi Kono at Banks & Miles, tweaking it to bring it up to date as New Johnston, which is still used by London Underground today. This clear, iconic font has stood the test of time and become a design classic. Why do you think this font works so well? Film maker Geoff Marshall is behind the camera on our ‘What Song are you Listening to?’ film. Geoff has shared his thoughts on making the film, and how it’s made him think differently about his behavior as a commuter. You see it every day – people sitting in a carriage most likely on their daily commute and ignoring the rest of the world. Plugged in headphones maybe with heads buried in newspapers or books too – as people shut out the rest of the world and create their own small space. A space sometimes where you’re squashed in so tightly and so close to people you don’t know it would be awkward in any other situation – that’s what everyone expects and gets on with. Yet a few hours spent one afternoon at Tooting Broadway made me see that there is life, laughter, smiles and energy behind everyone, it’s just that we are somehow trained to contain it all to ourselves. Our mission? To find out what people were listening to on the Tube. Our targets? Everyone we saw over a four hour period with headphones as they came in and out of Tooting Broadway station. Armed with some vibrant young volunteers, holding up a large posters emblazoned with “WHAT SONG ARE YOU LISTENING TO?”, we managed to cajole many people out of their personal musical shells, and share with us their tastes. I’m quite passionate about my own music, what I listen to and how I enjoy it, and afterwards as I put the video together it occurred to me how insular I had become. Had I not done this, and had to piece together this production with snippets of the songs that others were listening to, I may have never discovered some of these songs in my entire life. My own stereotypical views were challenged to. It’s so hard not to judge a person quite quickly after first seeing them, and I realised that based on their age, gender, race, way that they dressed, or the way that they walked I had a pre-conception about what genre of music they might be listening to before we asked them – sometimes I was right, the majority of the time though I was wrong, and I realised it was pleasing to be wrong, and have my own attitude adjusted. But most of all I liked the moments when we broke people out of their personal worlds and (sometimes after a little cajoling) got them to share with us an insight into their music. Almost everyone had a little embarrassment, soon followed by a wave of enjoyment, happiness and a huge smile. I loved the moment when they all smiled. A while ago sat on a train, I saw several people sat around me plugged in listening to things. I thought then how great it would be at that moment to have a gadget that allowed you to ‘tune in’ and eavesdrops on what people were listening to! You could discover a great new piece of music yourself that you were just sat a few feet away from and might have otherwise never have known about it. When I see people on the Tube now enjoying it, I now really want to ask them what they’re listening to. So maybe challenge yourself next time you see someone plugged away listening to something. If they look like they’re enjoying it, be bold and ask them what you’re listening to! People may be a little embarrassed, but as we found, ultimately thrilled to be able to share the enjoyment of their music with others. Earlier this year, a group of us from London Transport Museum hit the Underground to find out what songs passengers were listening to. The brilliant edited video is now available on the Museum’s YouTube channel – enjoy! What songs were you listening to today when you travelled by Tube? How does your music affect your journey? 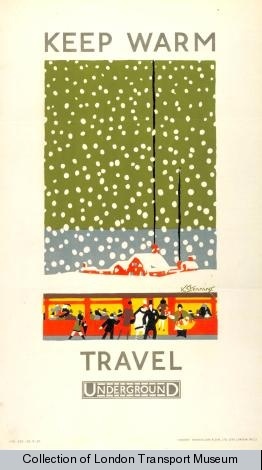 Last week we had spring daffodils, but this week’s poster is a bit more seasonal – Kathleen Stenning’s cosy vision of winter travel from 1925. This poster is one of four in a series by Stenning. The others encouraged people to travel underground so they could avoid getting wet, not get lost and take cover from some very threatening lightning strikes! Have a look on our Poster Browser online to see the rest of the series. 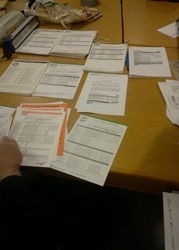 http://www.ltmcollection.org/posters/results/results.html?IXsearch=stenning. Want to recreate this poster at home? Try our new snow globe, mug and other related goodies in the shop! What’s your favourite Underground line? Is it the one closest to where you live, or the line which takes you to the places you love in the capital? Do you like a line that’s the fastest, coolest or quietest? For our 150th anniversary celebrations of the Underground, the Museum is working in partnership with My Street films and Doc in a Day at UCL to explore what five different Underground lines mean to five community groups located nearby. 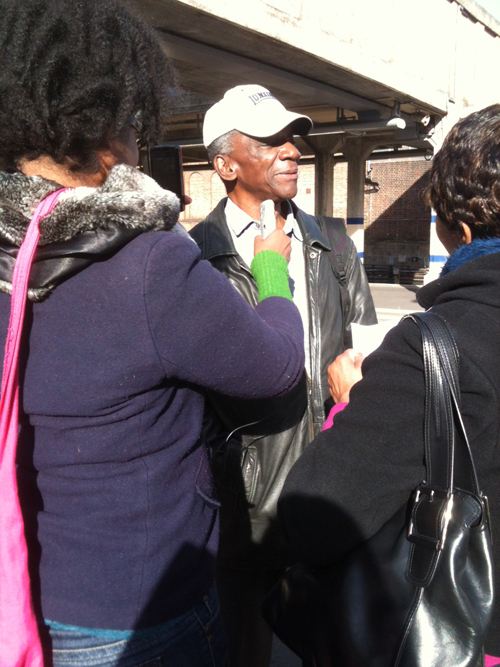 Starting in Acton and the Piccadilly Line, a group of people from the United Anglo Caribbean Society have been exploring what makes the Piccadilly Line unique and what experiences they have had of using the line. 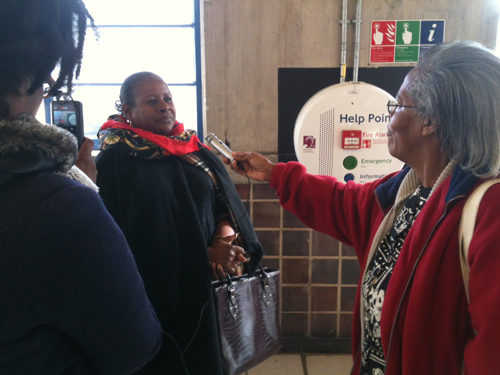 From a lady who is on her first visit to London and thus only used the Tube for the first time 3 weeks ago, to elders who have been using the Underground for 50 years, their stories and experiences are being captured on camera. These ‘My Line’ documentaries are being produced, directed, filmed and edited by the groups involved, giving the participants the opportunity to learn new skills whilst they share their stories. Over the next couple of months we’ll also be venturing to Harrow for the Metropolitan Line, Pimlico for the Victoria Line, Old Street for the Northern Line and Richmond for the District Line, with tales and adventures from each being showcased on here. What’s your line? Share your stories of what makes your Underground line the best. The first of the My Line projects is underway, with just the edit left to do. 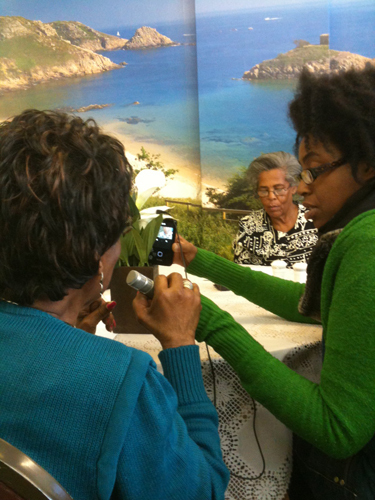 Nine participants from the United Anglo Caribbean Society have taken part, sharing some wonderful stories so far. The group love the Piccadilly Line for a number of reasons, from it being faster than the District Line out of Acton Town, to the great places you can get to via its stations. Its connection to Heathrow also makes for an interesting experience, with people from all over the world riding up and down the line every day. The finished film will be on our YouTube channel in the coming weeks. Until then, here are some pictures from the day. What do you like about the Piccadilly Line? 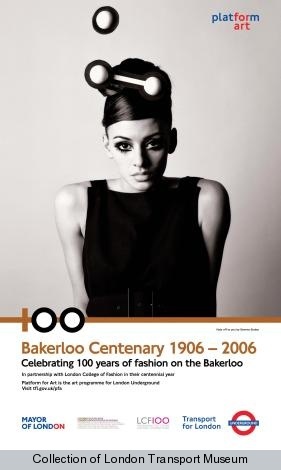 In 2013 we’re having a big exhibition showcasing 150 of the best Underground posters. There are 3300 to choose from in the collection. So we thought we’d get the ball rolling by finding out what people think makes a great Underground poster. 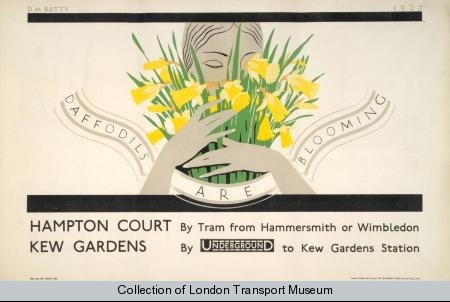 Because sometimes when I’m on the Tube, I would really like to have a large bunch of daffodils to bury my nose in. Please help us out – what do you think makes a great Underground poster?